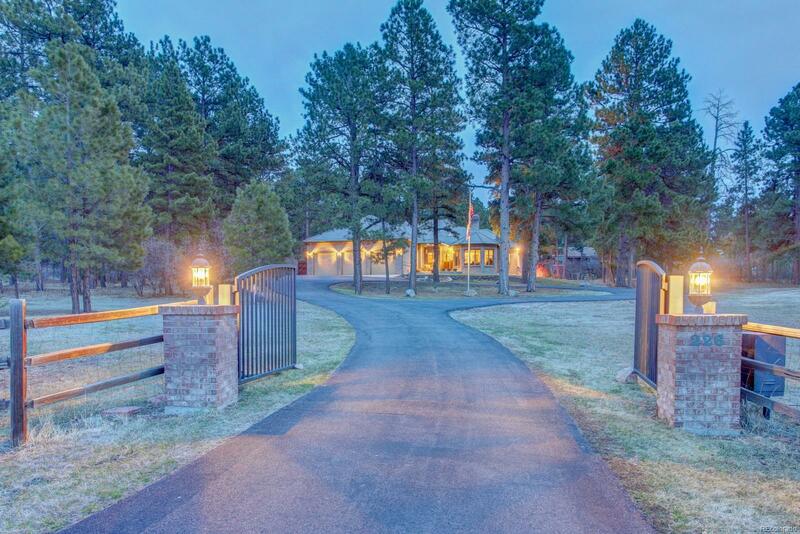 Situated on 5.5 private, wooded acres zoned for horses, this impeccably maintained home has a classic layout with numerous unique features. Entering the home, thereâs a formal living room with gas fireplace and home office with floor to ceiling built-ins. The kitchen has high-end cabinetry, stainless appliances, and granite countertops. Family room with wood burning fireplace opens to the back deck. Main-floor master with attached 5-piece bath and walk-in closet also opens to the back deck. Relax & entertain in the walk-out basement with 100 bottle wine cellar, sauna, home theatre with wood burning fireplace, & bar with loads of seating. Outside, enjoy gorgeous mountain views, wildlife and a lush perennial garden and orchard with apple, pear and peach trees. Move right in and enjoy a perfectly relaxing lifestyle!